For release notes, please visit Armbian Website. - THIS IS FOR SDCard BOOT!!! Anyone try this out yet? What's the performance like vs ayufan's Ubuntu images? (07-27-2017, 04:04 AM)jordanjay29 Wrote: Anyone try this out yet? What's the performance like vs ayufan's Ubuntu images? Haven't tried the newer images yet, but I did try the armbian build some 2 months ago; I felt that the XFCE ran a tad bit faster than mate. I imagine the current image itself has fewer functioning features (as well as experimental pre-release features) than ayufan's builds since Igor is currently away from the lab. What is the difference between Armbian and Ayufan's Ubuntu? Different kernel but the same packages and repositories? If they're using the XFCE WM, it will be less memory hungry than the Ubuntu Mate image is, but other than that, one thing to consider is the the Armbian images for the pinebook are still WIP (WorkInProgress), so they're not considered the 'release' grade of other Armbian images yet. 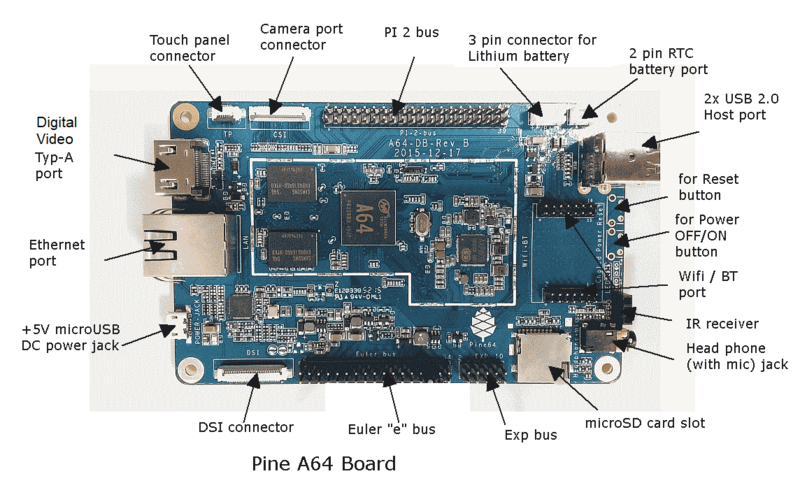 Why not drop by the Pine A64 IRC channel? (07-27-2017, 06:00 AM)Wizzard Wrote: What is the difference between Armbian and Ayufan's Ubuntu? Different kernel but the same packages and repositories? So the packages and repositories are different? Does it have also different DE, not only XFCE? armbian devs spent time assuring that the packages they do have work together most of the time as a cohesive unit. you can install any desktop you want if you want to spend the time. quite a few of the armbian devs use headless enviroments. Still using Armbian on the Pinebook and I like it quite a lot! Have been applying some of the tweaks found on the forum, and also removed nodm and installed lightdm. Pretty happy with this as user! Current time: 04-24-2019, 02:21 PM Powered By MyBB, © 2002-2019 MyBB Group.